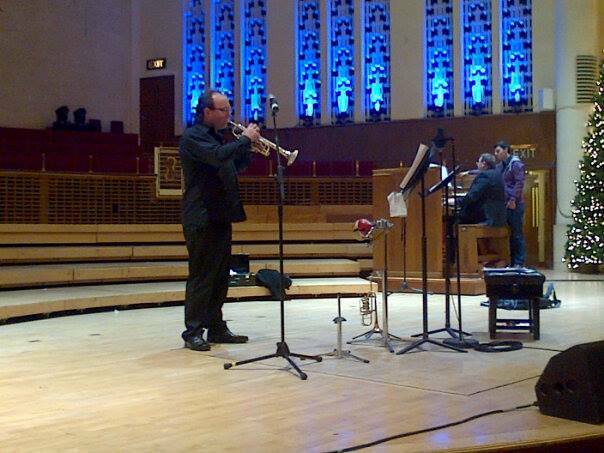 Ian Tracey and myself played our Christmas trumpet and organ ‘Singalong’ today at lunchtime, in Liverpool Philharmonic Hall. It was a good event and the audience of several hundred had a great time. Finding a programme of an hour’s music provided a challenge, both in finding a variety of repertoire to suit all ‘comers’ and to be virtuosic and musically challenging for us, without being too tiring. The audience reaction suggested that we had probably got it just about right. A tough gig, but very enjoyable. It is always a pleasure to work with Ian Tracey. This entry was posted in The Tour Blogs & Brendan's Solo Blogs and tagged ball, brendan, christmas, concert, ian, organ, organist, project, recital, singalong, solo, tracey, Trumpet, xmas. Bookmark the permalink.